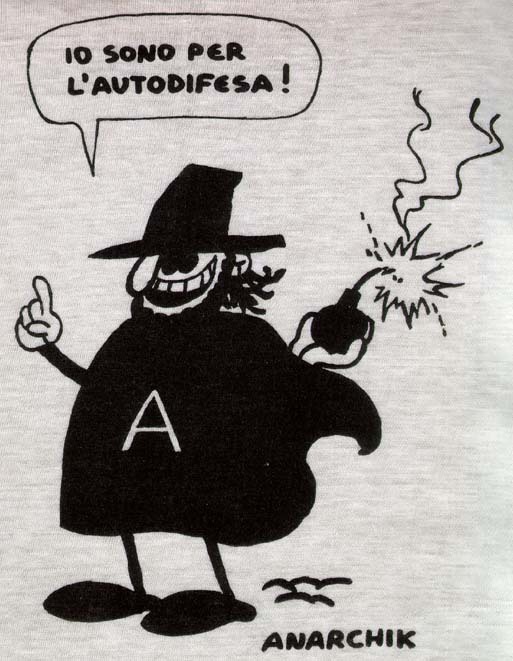 (text) Front: lo sono per l'autodifesa! 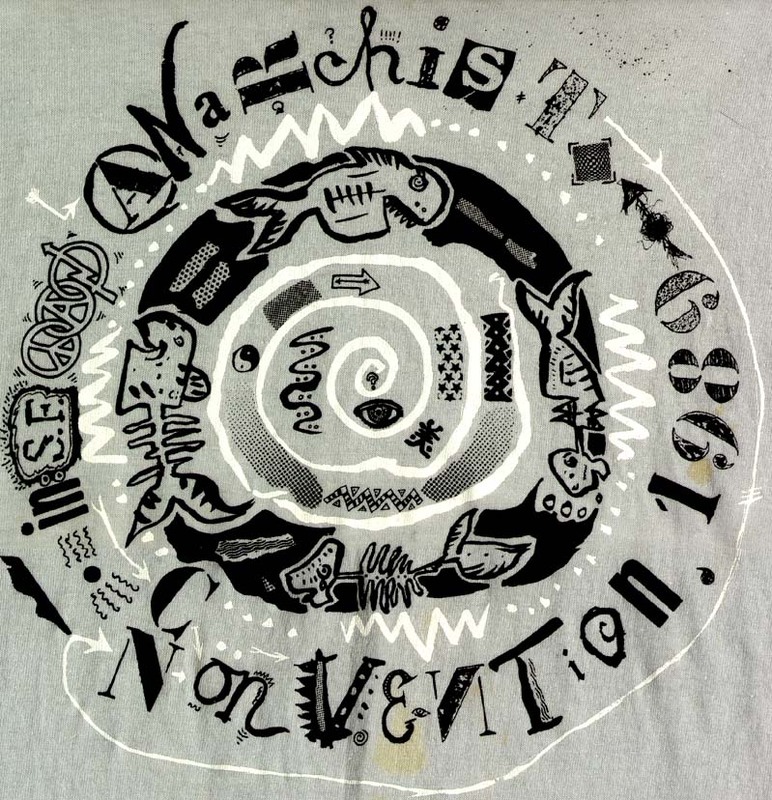 (description) A white and black shirt with a quote from richard nixon about presidents. 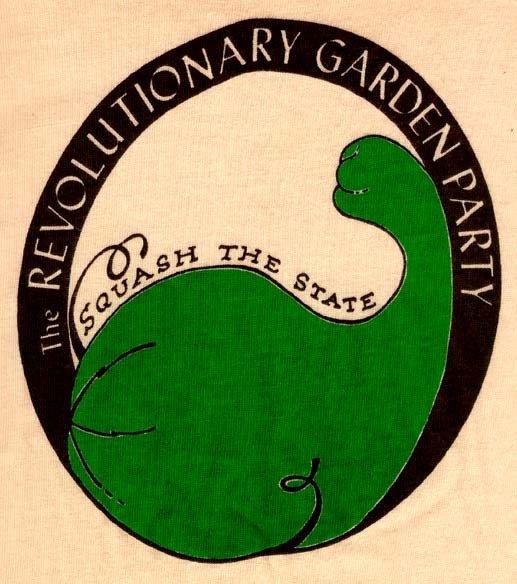 (text) Front: The REVOLUTIONARY GARDEN PARTY. 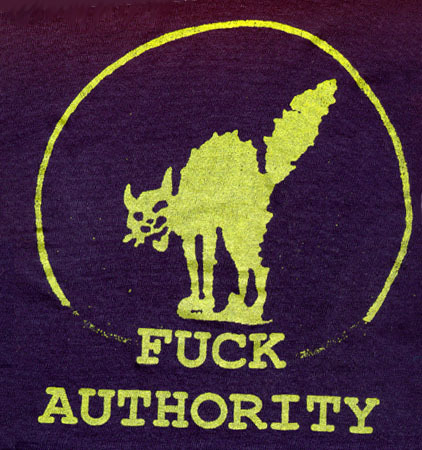 SQUASH THE STATE. 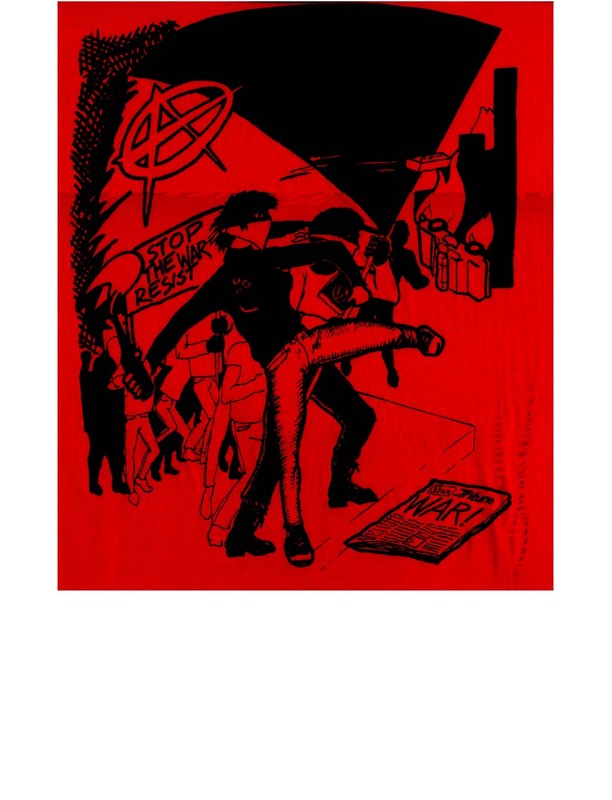 (description) Revolutionary garden party. 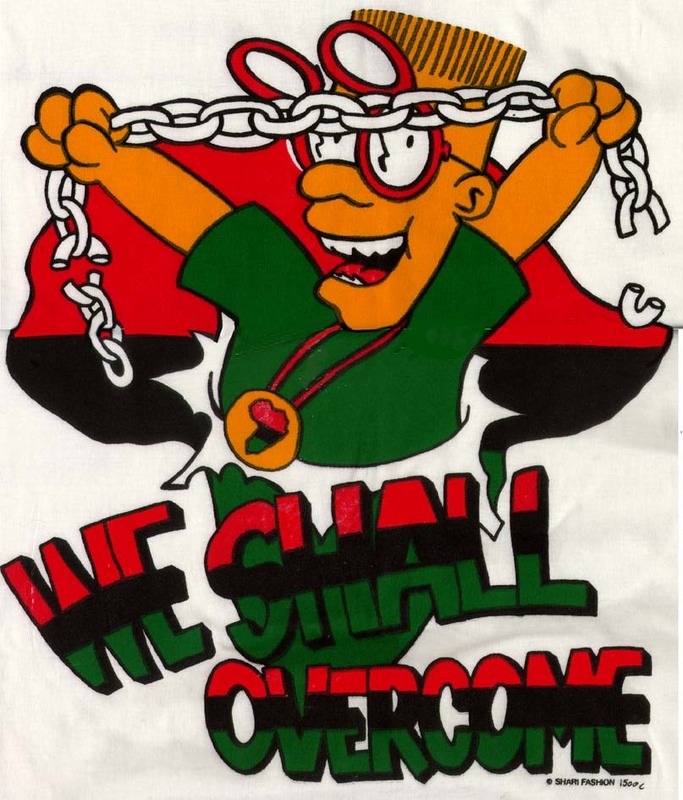 Squash the state. 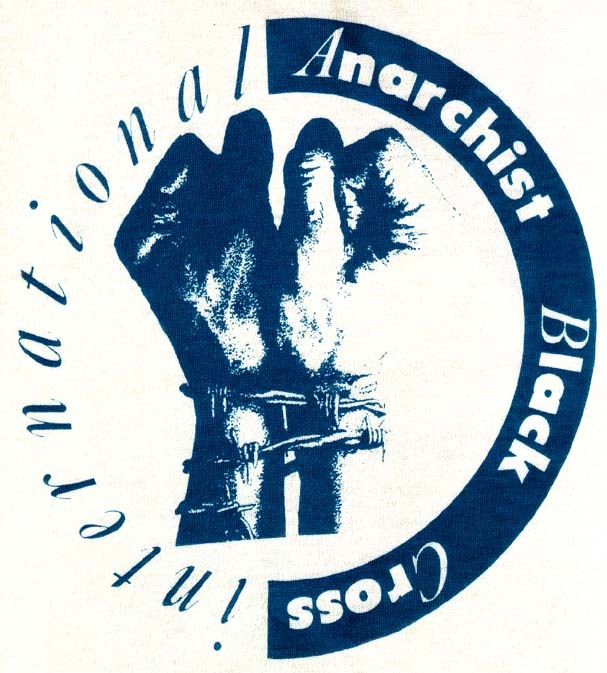 (text) Front: LONG LIVE ANARCHY! 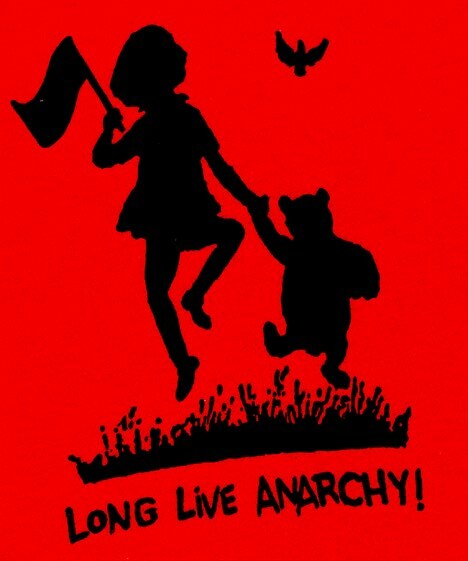 (description) A picture of Christopher Robin and Winnie the Pooh and a flag with the words long live anarchy. 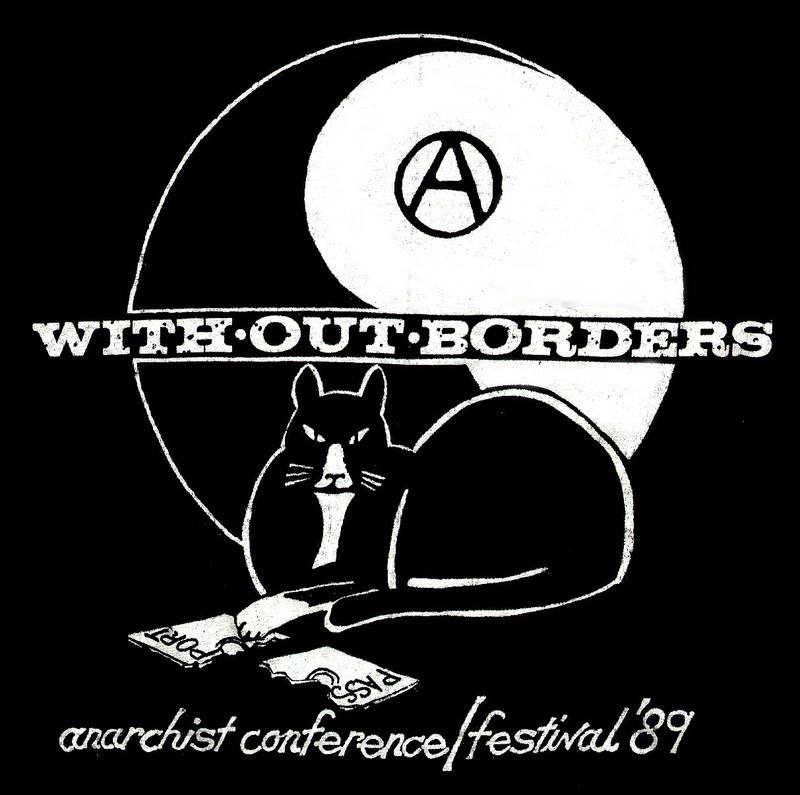 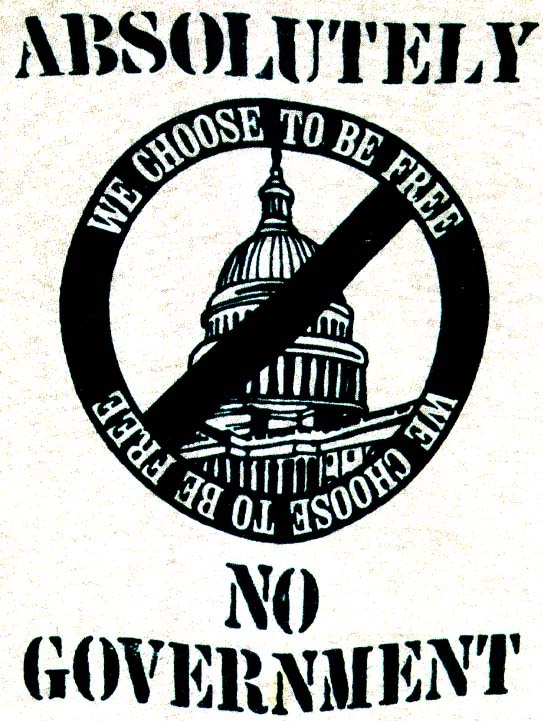 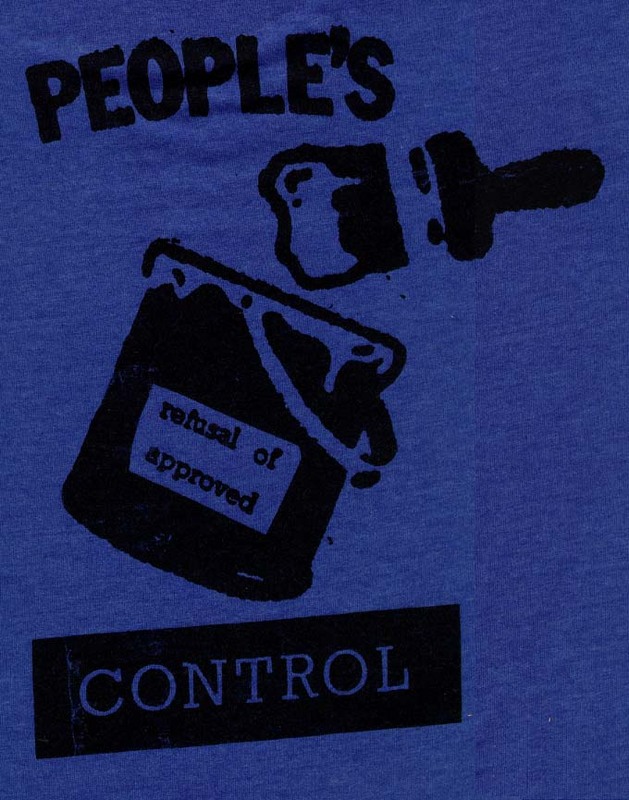 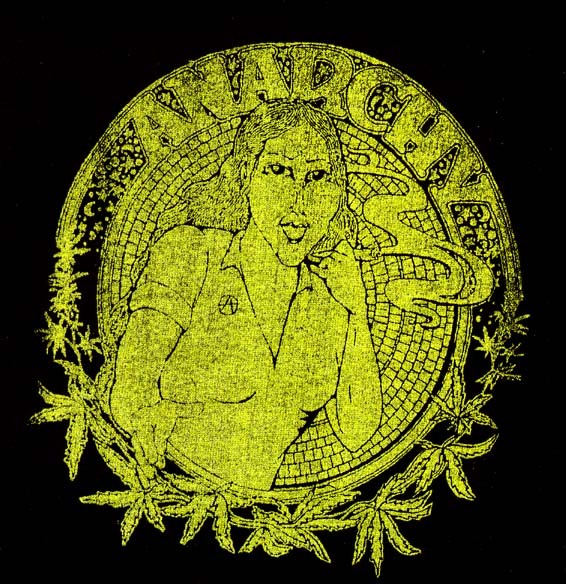 (text) Front: ANaRchiST N-C-onVeNTion, 1989 in S.F. 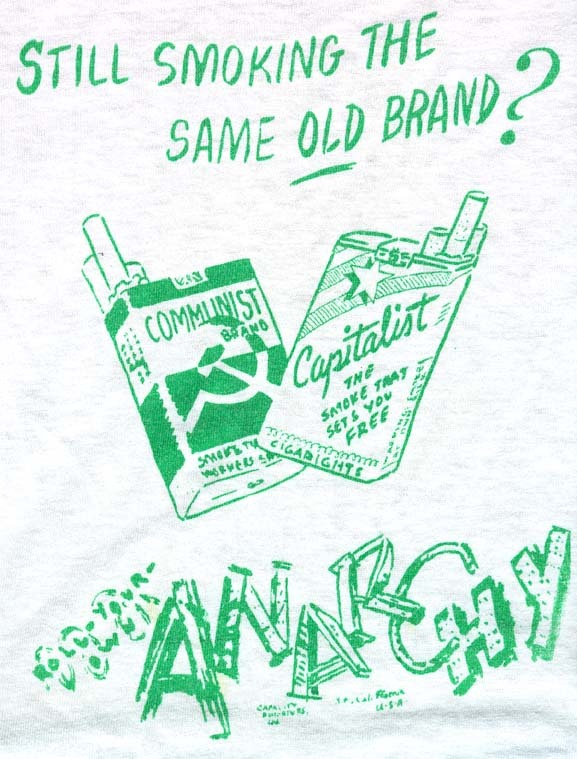 (description) Front has two old packs of cigarettes that say communist and capitalist. 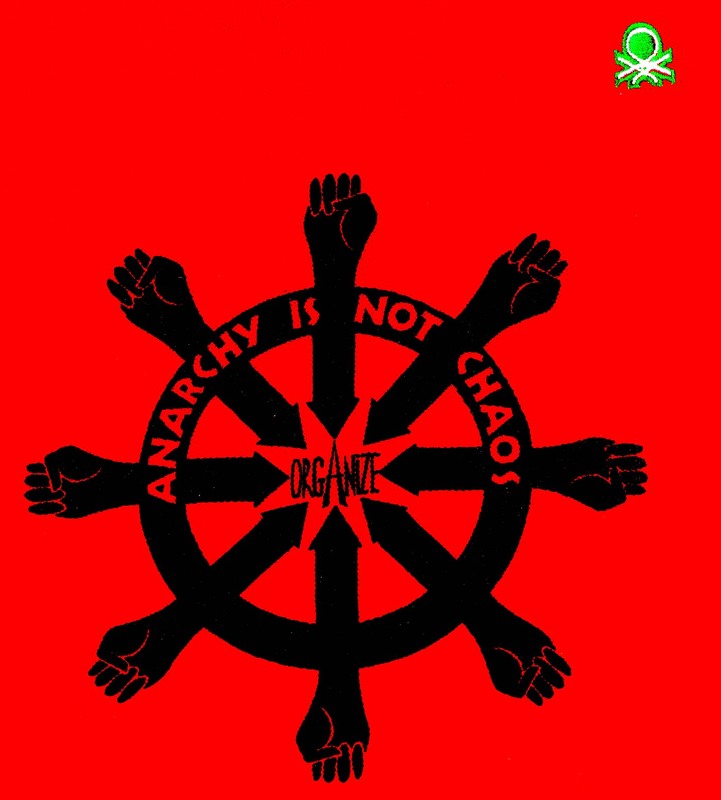 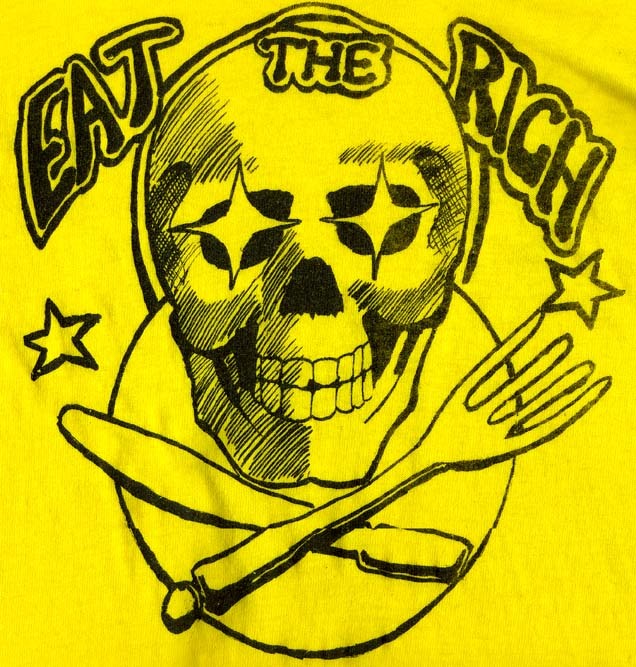 Third new option, anarchy, is written at bottom. 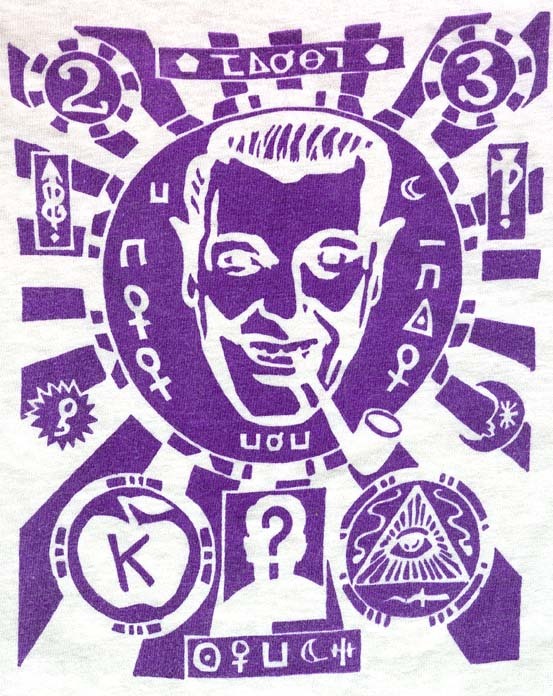 Back has man smoking framed by border with various symbols. 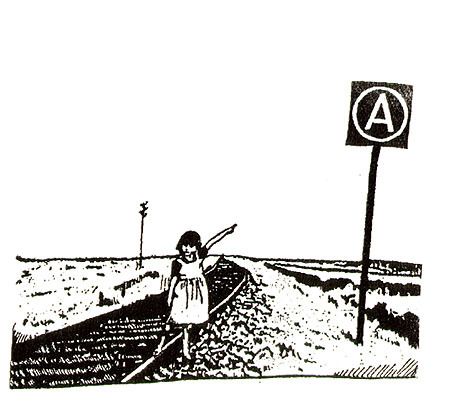 (description) A young girl in a jumper stands on railroad tracks pointing to a sign. 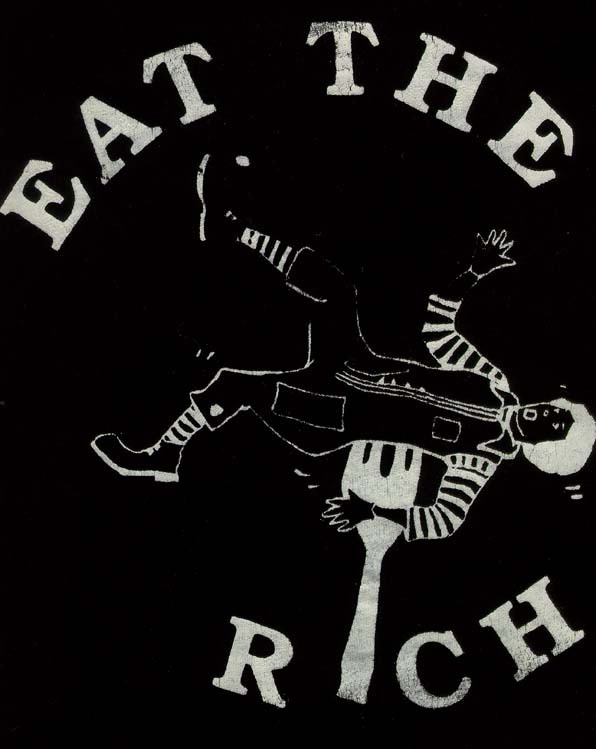 The sign contains the symbol for the Society of Anarchists. 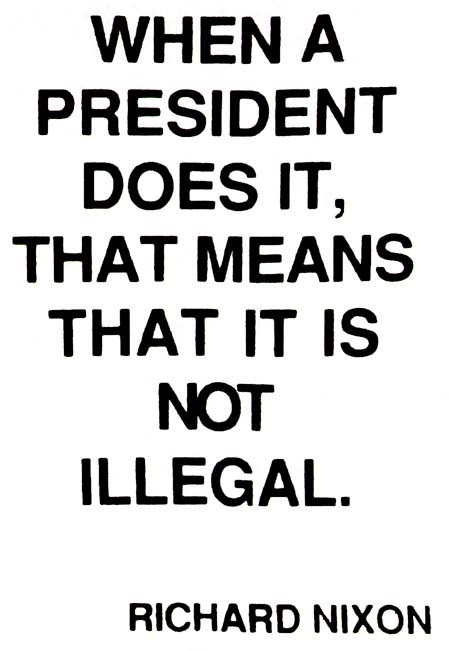 The surrounding barren landscape backdrops the scene.